Leading root canal specialist in Miami. Root canals are nothing to mess with. The treatment repairs a tooth that is badly decaying and could be lost. The infection will only get worse the longer you wait which is why it’s important to act fast, not only to prevent the loss of the tooth but to also make sure that your pain stops. When do I need a root canal done? The most common sign that you need to see a dentist is tooth pain. If you are experiencing any type of pain in your tooth and it only continues to get worse you should see a dentist as soon as possible. You may also experience tenderness and swollenness in the gums and extreme sensitivity to hot and cold foods and beverages. 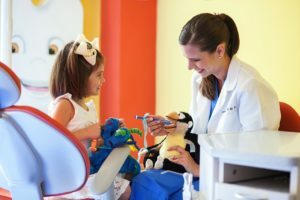 After a quick examination and x-ray, Dr. Julia and her team will recommend the procedure to alleviate the pain as well as to save the tooth. Once it is determined that this is the best treatment option we will begin planning the next steps. The most important part of the procedure is to make sure that all inflamed and infected areas within the tooth are removed. Disinfecting and cleaning the area is followed by filling and sealing to ensure no further infections will occur. If left untreated the pain will not only get worse but it could lead to further damage as well as an abscess. Hands-on experience: Every member of the team has years of experience working with patients to handle all kinds of dental issues. Furthermore, customer service is very important to us. We understand that in some cases our patients will be feeling anxious about the procedure or are experiencing pain. That’s why we put your comfort first. The latest treatment options: New technology is being introduced every day and we only use what we are confident will work. However, we also know that a new tool may make the procedure less invasive and easier on the patient which is why we require our entire team to learn these new treatments to present you with the best options possible. Improved oral health: We are not just interested in helping you fix a problem and send you on your way. If we can help you find new, healthier oral hygiene habits that will prevent root canals, cavities, gum disease and other issues from occurring, then that’s exactly what we will do. When you meet with a root canal specialist in Miami they are going to examine the tooth to determine what is the best course of treatment to pursue. The decision will be based on several factors including the level of discomfort you are experiencing, how damaged the tooth is, the extent of inflamed and infected areas and so forth. If the tooth can be saved then we will do everything in our power to save it. Otherwise we will provide the best options to alleviate any discomfort you are feeling while still preserving or improving your smile. We understand that you are in discomfort when you need a root canal which is why we waste no time getting to work on finding the best course of action to take and utilize the latest tools in the industry to ensure that you are getting the best possible treatment. If the area is infected and inflamed then we will treat that as well to ensure that the integrity of your oral health is improved. That’s why we are the specialist to come to whether you are in Miami or anywhere else in the South Florida area and we are happy to assist you with any other needs you may have including dentures, braces, cosmetic dentistry, whitening, gum treatment, crowns, bridges, full mouth rehabilitation and more. Dr. Julia Dison is your top choice for a root canal specialist in Miami. With years of experience and the latest tools and treatment options, we will find the best course of action to take to ensure the best quality care while minimizing any discomfort you would experience. If you would like to learn more feel free to visit our site to learn more about our additional services or to schedule a visit at your earliest convenience.